Wendy Benchley is a renowned global voice for protecting sharks and safeguarding our seas. As a scuba diver for more than forty years, she has witnessed dramatic changes to our ocean’s wildlife and its habitats. This has motivated her vigorous efforts to help shape smarter, stronger environmental and marine policies with government officials, NGOs and other civic leaders. Wendy co-founded the prestigious Peter Benchley Ocean Awards,™ an annual award honoring her late husband’s legacy, in order to shine a light on the exceptional conservation work being done by marine scientists, researchers, explorers, and policy makers both in the United States and internationally. Now in its seventh year, the Benchley’s have awarded nearly fifty honorees for excellence and achievement. Wendy is the 2014 recipient of the International SeaKeepers Award, which is given annually to an individual or an organization that has demonstrated an extraordinary commitment to ocean conservation. Based in Washington, D.C., Wendy is actively engaged in the marine policy community and supports many of the world’s leading ocean & environmental philanthropies. She was President of the Board of Shark Savers and was instrumental in helping to merge the organization into WildAid, a widely respected global non-profit solely focused on reducing demand for illegal wildlife products, including ivory, rhino horn and shark fin, where she is currently a member of the Board of Directors. She is also an Advisory Board member of Ocean Champions, a non-profit political organization that supports pro-ocean Congressional candidates and lobbies members of Congress on behalf of the oceans. Throughout the ‘80s and ‘90s, Wendy worked on many environmental issues as a trustee of Environmental Defense Fund. She is currently a Trustee on the EDF’s Advisory Board. 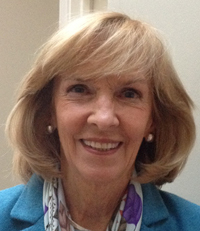 Wendy started her environmental and political career in the '70's in her home state of New Jersey as a co-founder and Trustee of the New Jersey Environmental Federation. She was elected to the Mercer County Board of Chosen Freeholders and was elected as a Princeton Borough Councilwoman for three terms. Among many legislative accomplishments, she worked on smart growth and sustainability issues, playing a leadership role in bringing to fruition a prize-winning downtown development and expanding affordable housing. Wendy was married to Peter Benchley, the author of Jaws and a well-known voice for ocean conservation through his numerous books, articles and documentaries about the wonders of ocean life and its many threats.